Our very first episode! Justin shares what you can expect from this podcast, how he got into personal productivity, and some of his favorite apps and books. 00:00 Welcome to Process. Hello and welcome to our very first episode of Process. My name is Justin DiRose, owner of the Productivity Guild, a community online of folks who have Apple devices and are interested in applying the mindsets and methodologies in personal productivity to their technology to help us become better people in this world. Before we dive into today’s topic, which is a little bit of my productivity origin story, I wanted to give you a little bit of what you can expect from Process going forward. First, we’re going to release 10 to 20 minute episodes on a weekly basis. I decided on a shorter format for you because most productivity shows that are out there today run at least 60 minutes long. So what I wanted to do is give you something that’s small and a little bit more bite sized so you can enjoy on a more frequent basis. 00:58 We’ll definitely dive into some topics like Getting Things Done, looking at task managers, note taking tools, etc. We’ll also do some check-in episodes and what those check-in episodes will be is checking in with me and telling you about how my goals are going, the experiments that I have going in my personal productivity system and whether those are working or not and what I’m learning from them and also things that are working for me in my system and things that aren’t working for me so that you can learn from those too. I hope you enjoy this podcast, but if you have any feedback for me along the way, hit me up over at productivityguild.com. 01:38 I’m sure my mom can attest that have always been a little bit of a nerd. My grandparents or somebody got me Star Wars on VHS, the non-special additions before the special editions were even out back when I was a little kid and I remember playing those over and over and over again, but it didn’t stop there. 02:00 I got into computers and we always had computers around the house when I was a teenager and as I grew up, you know, I went to college and I got my first Mac and I found the Mac Power Users because I wanted to become a better Mac user, which I really have to thank David Sparks and Katie Floyd for even introducing me to the concept of personal productivity because through the Mac power users I was introduced to things like managing your email, the OmniFocus task manager, guys like Merlin Mann, Getting Things Done and this whole new world of personal productivity and that lit a fire in me. I have enjoyed systems thinking for a long time and that’s just how I tend to work is through a process, but productivity has become really personal to me inside. It’s something that is. I just do now as a result of starting from that small little point where I had no idea that it even existed. 03:00 And over the course of years I’ve used various systems. I’ve used things like The Hitlist back when that first came out and then was never updated. Then Things, Todoist, and Omnifocus. I’ve used Evernote, OneNote, Bear, Drafts, just about any software that’s out there I’ve used it for productivity. Now when I graduated college I didn’t go into a field where I could get a Mac unfortunately, which really pained me actually for a long time, but I worked for about 10 years in business IT, six of that being in a corporation and so I really got to know Windows. Windows and OneNote, Outlook. I learned that there’s really no great productivity apps for windows except for the web based ones and the cross platform ones like Todoist, Asana, and Evernote is pretty decent on that platform too. While I was in corporate, not only was I a technician in IT, but I moved into a management role as well, so I got to learn how productivity worked from a management perspective. This last fall and went self employed, so that means I had to change my entire system from while I was in corporate. 04:09 I tried to do this whole, how do I have a system that crosses platforms? I tried Todoist. I tried using an iPad with OmniFocus. I tried just having OmniFocus on my iphone. I tried using Evernote across all systems. I’ve tried keeping separate systems for notes and there are so many different ways you can approach things in that type of environment. It’s really complex and it’s a problem that has yet to really be solved in the productivity space. 04:37 When I went self employed, like I said, I had to change all my systems because now it was on Mac only, which was just a day of jubilant expression because it’s something that I had wanted for so long, but I feel like that moment in time allowed me to engage in personal productivity all the more because I could have my systems the way that I wanted it to without some corporation dictating what I, what devices I had to use and what software I had to use, even though you can get along just fine on Windows. 05:05 Doing productivity now as a self employed person, I realized that the mindsets are all the more important for productivity. While you’re working in corporate, you still have somebody else in the company that’s usually higher up the chain that is setting the priorities for your job and so you don’t always have a say in what the highest priority thing is at any given moment in time. As you climb up the ladder, there’s more leeway in that, but ultimately there’s still somebody else that’s saying what’s important. However, when you are self employed, you don’t have anybody saying that. Sure. Some say that the client is the boss, but you still have the power to choose what clients you take on and so what’s important to you is still what’s going to define you as a self employed person. 05:57 I know there are a lot of people in the productivity space that are writing and producing podcasts, videos and such that are self employed or small business owners and I think something that we can have a unique conversation here is how does productivity look both as a self employed person and also as somebody who works in corporate because productivity is important in both. Just because you have somebody who’s above you that’s setting priorities, doesn’t mean that you can’t set your own priorities, too, and productivity in reality and in my opinion, is so much more about life management these days than it is about attaining any sort of a specific goal. It’s about taking all of the responsibilities that you have in life and being able to handle them in a way that’s appropriate for you. So my goal over the course of this podcast is for you to glean something from what I’ve learned in my life and hopefully that’s helpful for you. 07:00 To close out, I wanted to share with you some of my favorite tools and books currently at this point in time. My favorite tools include OmniFocus for my task manager. Bear for my note writing app, though that might be changing in the near future. Drafts is an absolutely amazing tool for starting text, not just on iOS. The Mac beta is quite amazing right now even though we’re missing actions in that series. Shortcuts is a incredible on iOS. I know I was a user of workflow before it was acquired by apple and that was pretty good, but Siri shortcuts with is system integration is fantastic and then lastly, I live in code most of the days these days since I’m a developer and so Visual Studio Code by Microsoft as that is my code editor of choice. At this point in time though, I’m have been playing around with Vim a little bit, for any of you command line junkies out there. 08:00 My favorite books on productivity, number one would be Developing the Leader Within You by John Maxwell. You might be wondering why is that a productivity book? Well, this book is one of the first that really introduced me to the concept of productivity. John Maxwell talks a lot about leadership in there, but a big piece of leadership is managing your priorities and managing your priorities is a core tenant of productivity and so I highly recommend that book to just about anybody who’s interested in productivity because productivity is just as much about leadership as it is about doing what you want to do. Hyperfocus by Chris Bailey. That’s a newer one, but that’s probably the best book on productivity that I have read ever simply because he gives straightforward, actionable research advice that seems applicable to just about everybody. It’s not just a list of life hacks, but it is a mindset towards working on things and how you can balance your life from super deep focus to this recharging scatter focus mode. Highly recommend that one as well. 09:09 Some other ones, A Million Miles in a Thousand Years by Donald Miller. I love this book simply because it inspired me to live my life is a better story. That’s where the whole premise of the book is that after Donald Miller had a smashing success in his book, Blue Like Jazz, somebody wanted to make a movie about it, but his life was boring and so they had to rewrite this script and it caused him to ponder and figure out how can I live a more interesting story of my life. Very inspiring and it actually caused me to change a lot of things about my life shortly after reading it. And last on the list is Deep Work by Cal Newport. Seems a little cliche for productivity books these days, but same with Hyperfocus, Newport gives a lot of helpful advice on how to handle your work process in your day. 10:03 Well, that’s all for this time. 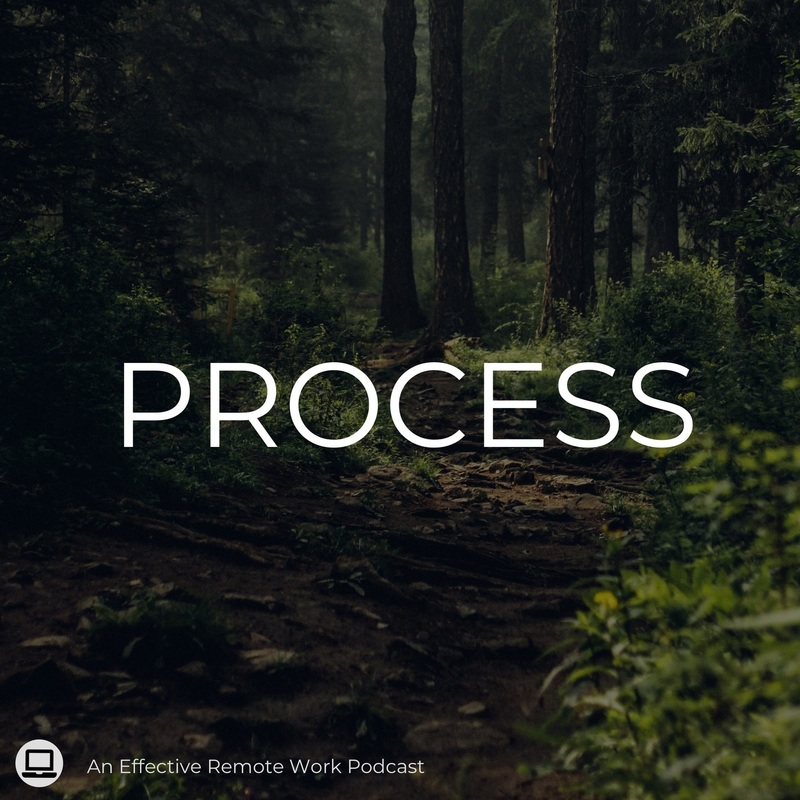 If you want to join in on the discussion for this episode or if you want to connect with others who are in the process of becoming better on their productivity journey, head on over to the Productivity Guild at productivityguild.com, or if you want to support this podcast and get access to video modules, productivity courses, and more consider, signing up for a Pro membership at the Productivity Guild for just $10 a month. Lastly, if you liked this show, rate us on iTunes. Thanks for listening and join me next time on Process.